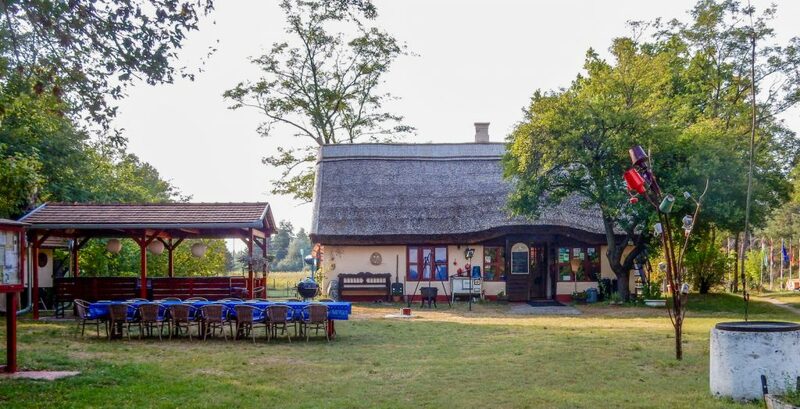 Welcome to camping Oázis-Tanya, in a beautiful location in the middle of the rough nature of puszta. A place to find peace, where the sun still shines more than 2000 hours each year. It’s the second time we pitched our caravan at Theo and Tineke’s camp site. Every time you drive unto the sand path we are taken by the peace and quiet of the beautiful surroundings! On the camp site we were welcomed by T&T with a welcome drink. We spend over 3 weeks there and had a great time. There was always something going on. The animals, foxes and does and beautiful flowers that bloom there and not to forget the fruit you can pick. Tineke made a great cooking book with Hungarian recipes if you want to make some back at home. This is a magnificent place to camp!! The 3 weeks have flown by. When we drove home there was a beautiful doe on the sand path to wave us goodbye!! We hope to return. It was one big party!! !